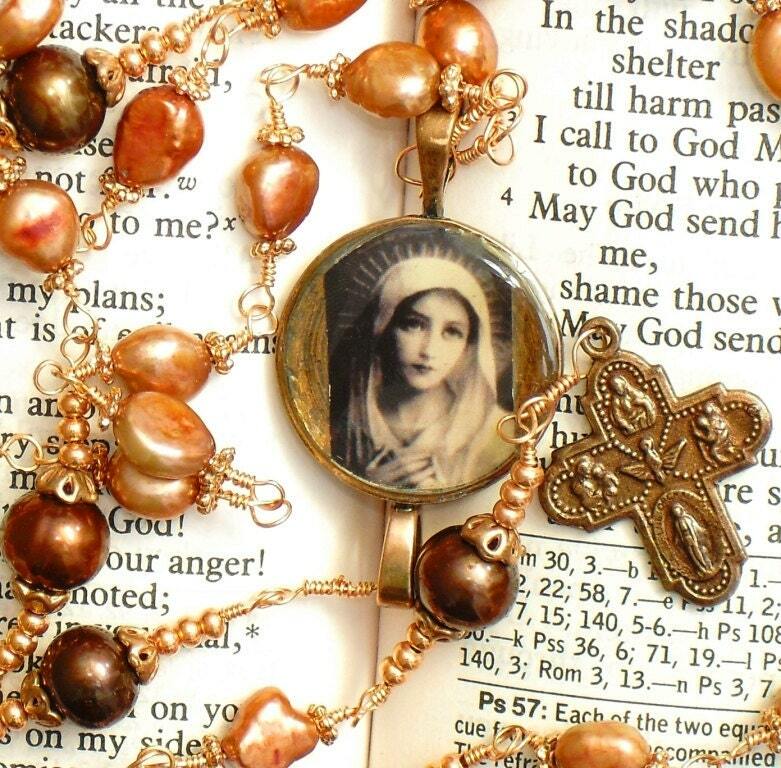 Handmade copper wire wrapped five decade Catholic Rosary featuring the Blessed Mother Mary center. The Paters are coffee colored and harmonize the russet/auburn pearl Ave beads. Each Ave bead-set and Pater bead-set are individually wire-wrapped in 22 gauge copper wire. 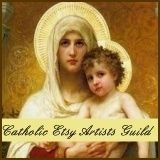 The centerpiece is handmade by the artist and is a one of a kind piece consisting of an image of Our Blessed Mother, centered in an antique cabochon pendant. The crucifix is a four-way cross and is two sided (see pictures). Being a wire wrapped rosary, this rosary is long, measuring a total of 37 inches. This rosary will last a lifetime and can be passed from generation to generation. Click on image to search us!